There are a range of irrigation solutions available to you that will keep your lawn and plants healthy while lowering water use. To maximise the benefits of irrigation, it is good to have an understanding of the most suitable system for your needs. With over 30 years of experience in domestic irrigation, Water Dynamics can help you find the best solution for your home. 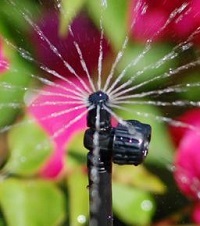 Sprinklers are the most common type of irrigation used by homeowners. This method applies water by spraying water in the air through sprinklers and drops water onto the ground in a similar way to light rain. They can be used for both the garden and lawn and can be automatic or include a timer. An ideal way to water the lawn, there are also sprinklers that pop-up from underneath the ground and are hidden away when they are not in use. Drip Irrigation uses using ‘drippers’ or ’emitters’ to slowly drop water directly to the plant’s root. This means that the water is pushed deeper into the soil and an ideal moisture level is maintained. No water is wasted on overspray to a foot path for example or blown away by the wind. 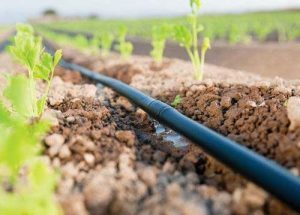 Water Dynamics offer a full range of drip irrigation designs and quality components which enables us to put together the system that exactly meets your needs, also meeting the increasing demands of efficient water use. Micro irrigation is also a trickle method of irrigation which slowly applies directly to the plant’s root. It does this through low pressure “micro-sprinklers”.